Are ‘pemakai menua’ and ‘pulau galau’ part of NCR land? THERE is no clear indication yet whether the ‘pemakai menua’ and ‘pulau galau’ are recognised as part of the native customary rights (NCR) land in the parameter survey initiative. When raising the issue at the assembly sitting yesterday Ba Kelalan assemblyman Baru Bian was told by Deputy Chief Minister that the condition in which NCR could be claimed by NCR landowners was clearly contained under the provision of the Land Code. Datuk Patinggi Tan Sri Alfred Jabu Numpang (BN-Layar) said the Land Code clearly stated the condition of which NCR could be claimed by NCR landowners, when replying to Baru’s question on whether the NCR parameter surveying works included the ‘pemakai menua’ and ‘pulau galau’. “It was a straight forward question but the answer was not forthcoming. The minister was trying to evade the issue. “We are concerned and we are making it very clear, plain and obvious that the government does not recognise the decision of the court in this country, especially in light of several cases being referred to the Federal Court where the ‘pemakai menua’ and ‘pulau galau’ are recognised. 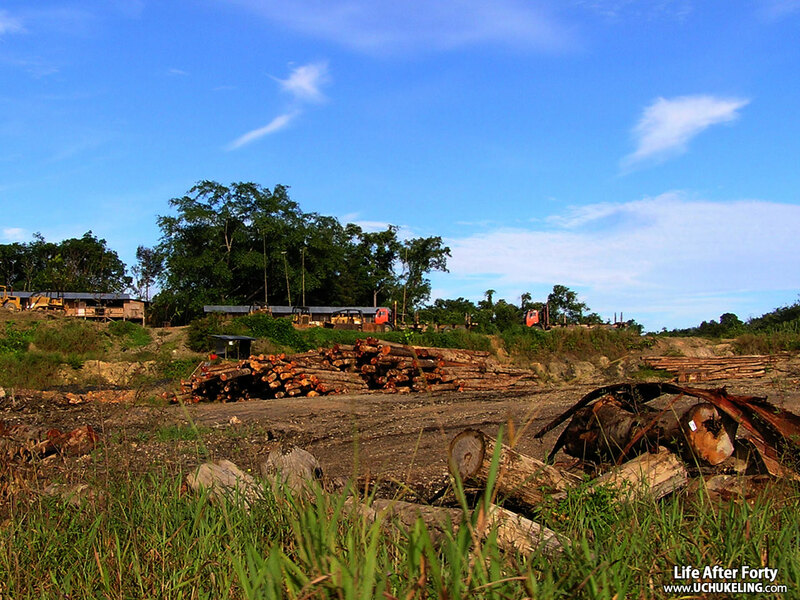 “Although these cases refer to the Land Code they have been referred and decided based on the Sarawak Land Code. You don’t need any interpretation, you only need to adopt and respect the decision of the court in this nation. It is very simple but we want to hear it from the horse’s mouth,” Baru told a press conference at the DUN complex yesterday. In his reply to government ministers who always accused the opposition of constantly objecting and instigating the villagers against parameter surveying, the state PKR chairman claimed that this was because the state had never been specific on the matter, which had caused fear in the minds of the longhouse people. “The government said that the parameter surveying is trying to make it clear, the boundary between NCR land and state land. On this matter, the native wants to find out what constitutes NCR land. Does it include ‘pemakai menua’ and ‘pulau galau’? “The minister is evading the question. If there is any other minister who would like to address this issue, we would like to hear the explanation,” he said. He added that every time they went to court, arguments of the lawyers for the government were always the same, “they say that NCR is confined to ‘temuda’. On the executive side, legal officers in the court are still arguing on the same thing till this day”. But still the Iban vote for all the dumb and stupid people! To be fair to the rural and ” colonised” Ibans and Dayaks in general, many decades of poverty and fear of backlash from BN lawmakers who happened to be traitors of the community had make them subservient to a government which has systematically marginalised them and retarded the socio economic programmes in rural Sarawak. Things are changing fast now that Pakatan Rakat is stronger and Radio Free Sarawak has been able to educate these rural folks. We shall see at least a 30% swing in rural votes for Pakatan Rakyat and the percentage can only get higher over time. We want Jabu to declare his own understanding and interpretation of NCR lands in a gathering before all Tuai Rumah, Penghulu and Temenggong and all NGOs seeking justice on NCR land grab victims, failing which he shall be deemed to be a traitor to the Dayak community. You ask Jaboo “How old are you Datuk Tan Sri?” He will answer “My SON is 40 years old”. What you expect from this Minister? What can we expect from this monster? He is a real shame to the Ibans. This Tan Sri is old just like the other cabinet members – Pehin Sri, Wong Soon Koh, Masing, Mawan and Manyin. They are given their lucrative post not due to their mental ability but main peranan ability. What do you expect from this TanSri. He is supposed to be a custodian of native rights but he is actually the one who castrate these sacred rights. Their time will come very soon when the natives will do someting drastic ….. he’ll no more be there. Our WAKIL RAKYATS are all very good at dodging and confusing the rakyats on issues affecting the rakyats and are also very good at giving excuses and reasons for their failures to impliment what they promised the rakyat. It is always the rakyats fault and they never take account for their own failures to serve the rakyat as well as they should and could. We rakyat expect more then an Iban singer during our YB walk about in the longhouses, more then nasi tapau and a few crates of beer. We need concrete actions on our demand to our NCR,Pemakai Menua and Pulau Galau to be recognized by Taib and his Gang of Land greedy cronies. Who else is more recognizable,more qualified and knowledgeable on this issues other then our own Natives Dayak DCM DPTS Jabu? He is well positioned to whisper or rather shout into taib’s aging blocked ears our grievances, our displeasure to the way he treats us Natives. Standard answer from Jaboo as he is nobody in taib’s cabinet. Fearing his boss n willing to look stupid in everyone’s eye.. What a joke to have this type of so-called dayak leader…u are a shame to the dayak community.